What is the Nuffield Scholarship? With ground application, the boom must be high enough so that the spray fans overlap on the uppermost leaves. 20 inches above the canopy is ideal. Fungicides will only move from the droplet on the leaf surface towards the leaf tips, they do not move from lower leaves to upper leaves or the head. Try to allow the majority of flag leaves to emerge. Portions of leaves, whole leaves and heads that develop after spraying will not be protected. Tilt (propiconazole) moves towards the leaf tips quickly so the concentration drops and stops protecting after about 3 weeks. Folicur (tebuconazole) and Prosaro (tebuconazole + prothioconazole) move more slowly toward the leaf tip and give 4 weeks protection. The strobi portion of Quilt (azoxystrobin + propiconazole) is more immobile in the plant and can give up to 5 weeks protection. Triazoles (Folicur, Twinline, Prosaro) are the only products that can cure an early infection of stripe rust (less than 7 days old). If you have stripe rust already, a triazole is preferable because of its curative properties. Again, so long as the infection is less than 7 days old. A stripe rust infection can restart once the fungicide applied breaks down. This is called ‘kick back’. Fungicides containing strobi’s (Quilt, Twinline, Headline, Stratego) can only be applied up to heads half emerged versus triazoles (Folicur, Prosaro) which can be applied from flag and up through flowering. The charts I use take a short and long term look at whether the market is oversold, neutral or overbought. I use charts as a way to pull the trigger, not to determine the best price. 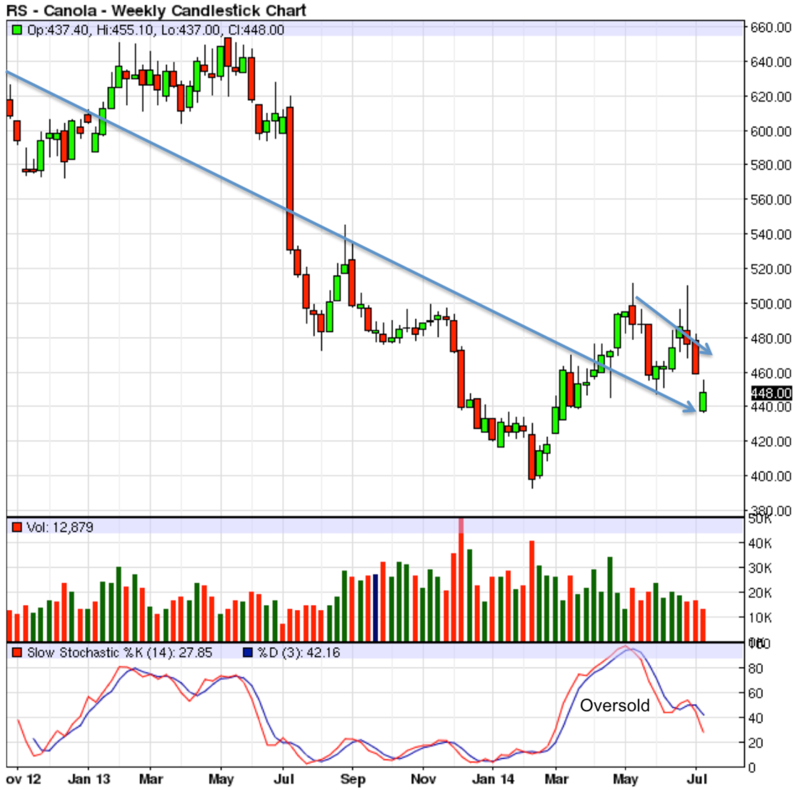 Canola Nov 14: The long and short term trends are down. 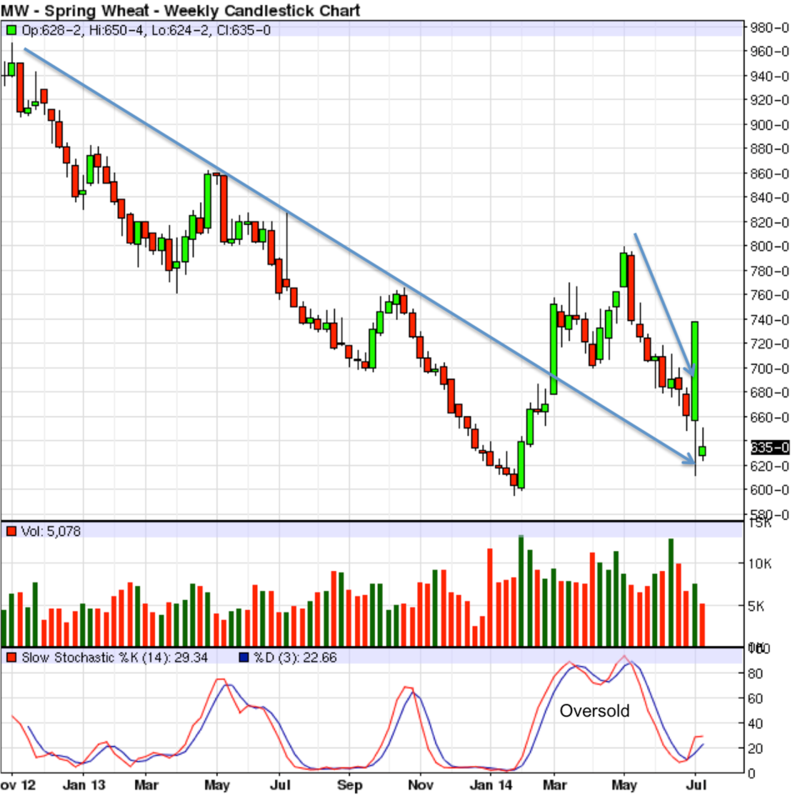 HRS Wheat: Dec 14: The short and long term trends are down. 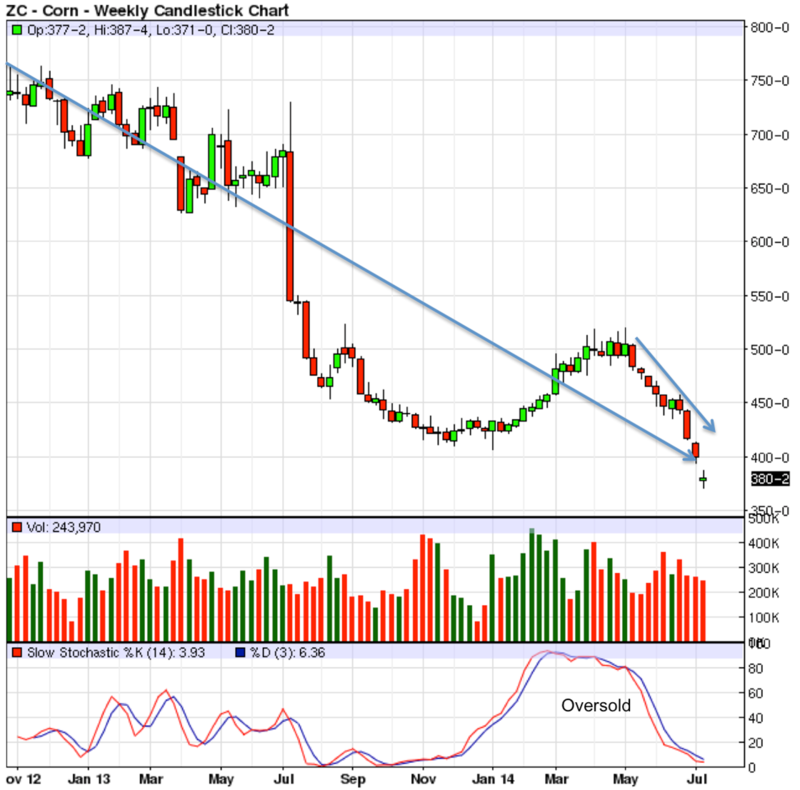 Corn Dec 13: The short and long term trends are down. 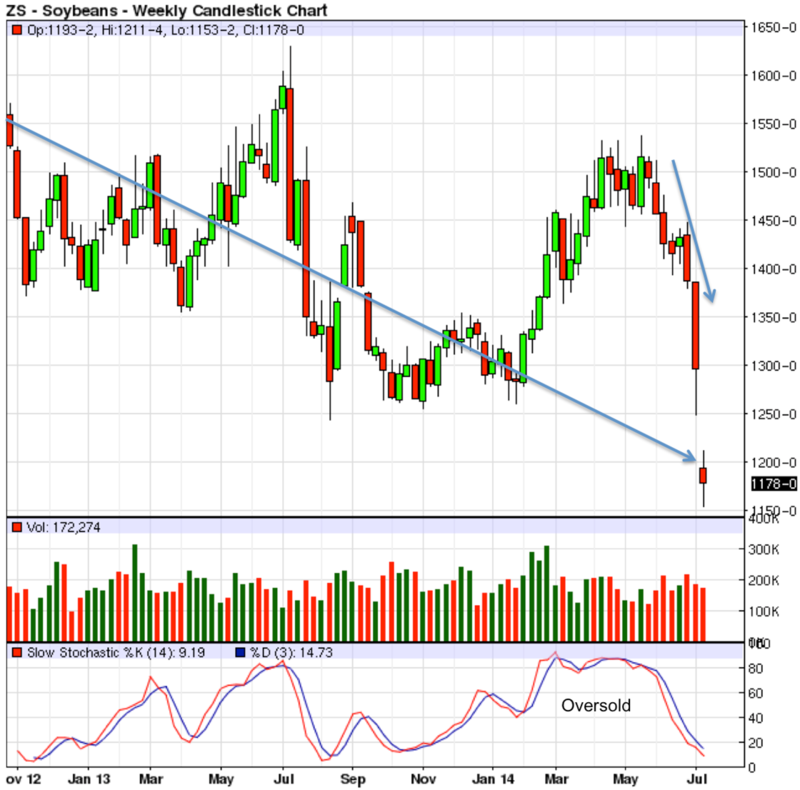 Soybeans: Nov 14: The short and the long term trends are down. 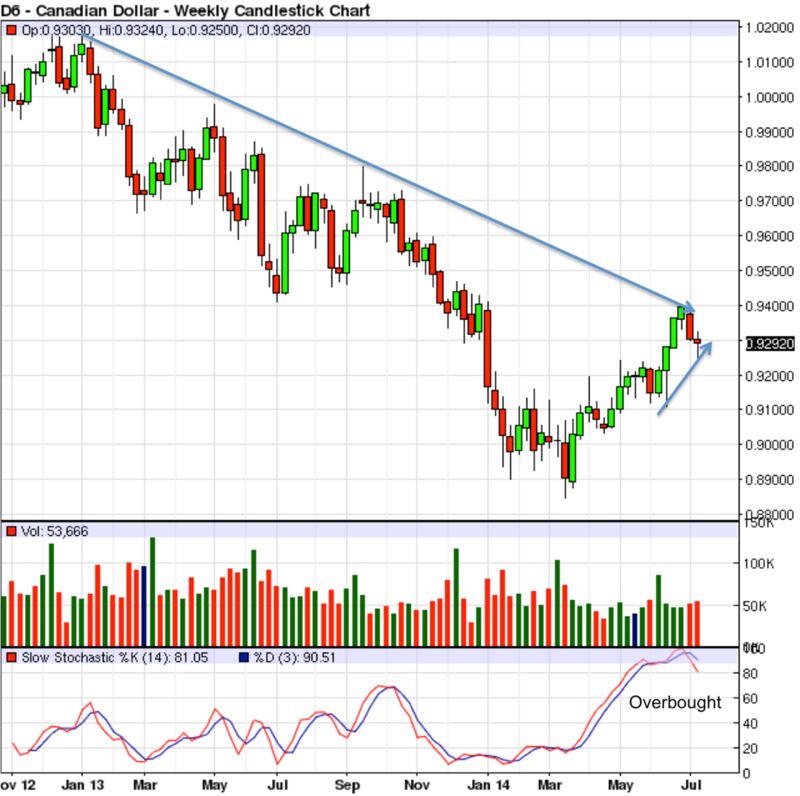 Canadian $: Sept 14: The short term trend is up and the long term trend is down.